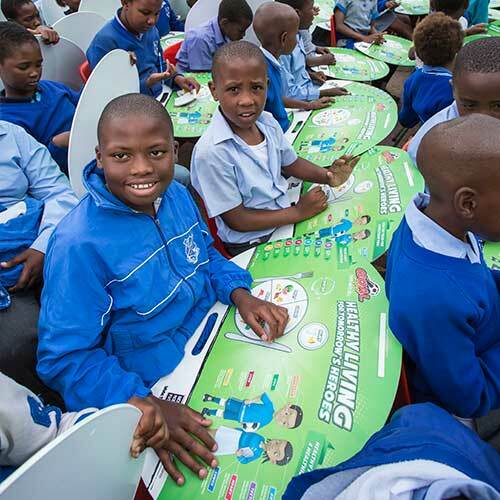 CID facilitated the design and production of 1 000 portable school desks to Winnie Ngwekazi Primary School pupils in Soweto during October 2014, in support of the Tutudesk Campaign, and in collaboration with Super Goal Super Maize Meal. 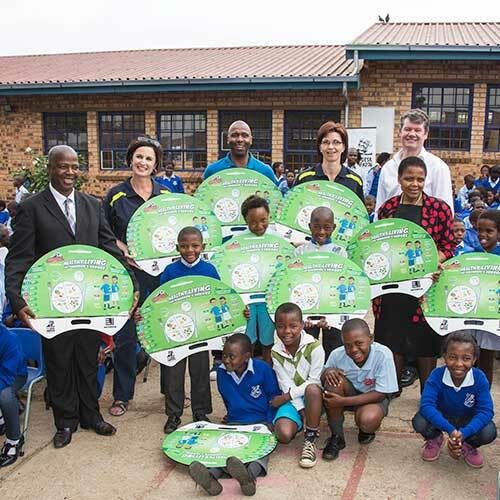 The handover ceremony, attended by VIP guest, and soccer super star, Lucas Radebe, put smiles on the faces of hundreds of excited children!These Super Goal-branded portable desks are produced from recycled materials and provide a lightweight, durable writing surface for any situation, whether students are sitting on the floor or on a chair. Having the benefit of an easy-to-use working surface, learners can improve their handwriting and concentration – and ultimately build their futures on better academic performance. 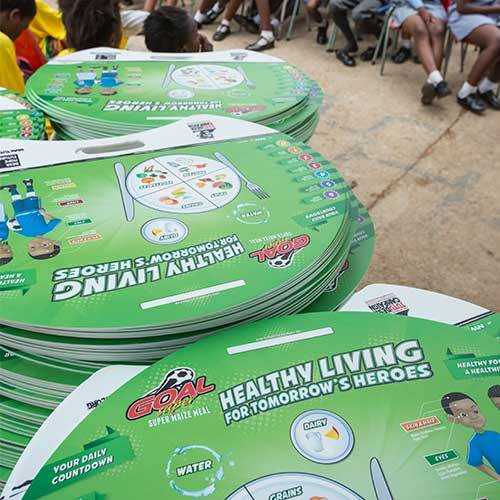 And what’s more, the nutritional tips printed on the desks help kids develop healthy bodies too.